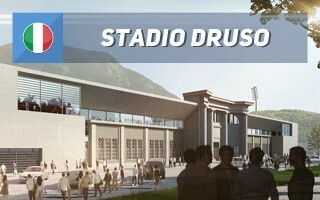 The uniquely scenic Stadio Druso in alpine town of Bolzano will undergo its biggest redevelopment in almost a century in order to meet Serie B regulations. 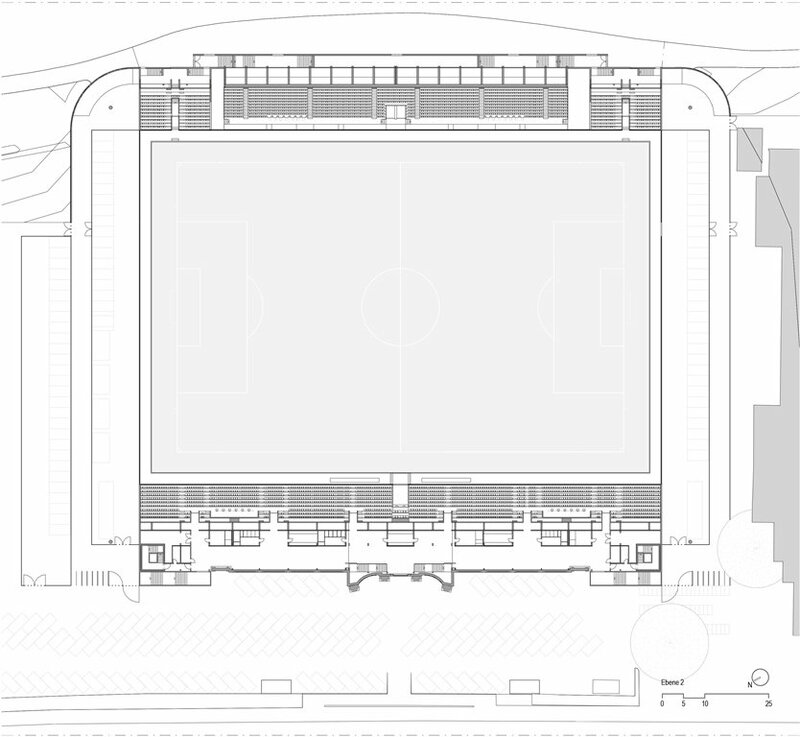 Thanks to the joint investment by the town and region, it will change from an athletics stadium into a full rectangle, for football alone. First its capacity will grow from 3,100 to 5,400 by adjustment of the sides, then it should reach 10,000 with first ever end zones. 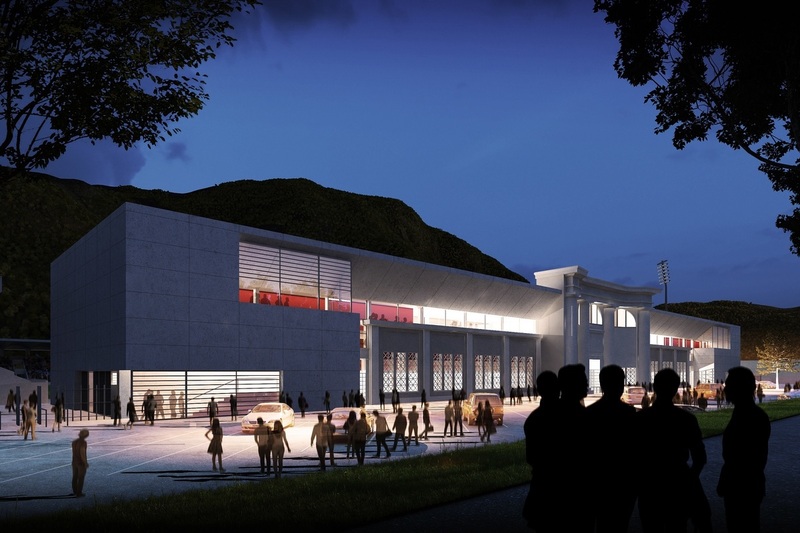 By far the most challenging part is the reconstruction of its main western stand while preserving its historical facade of 1930 and incorporating it into the new structure. 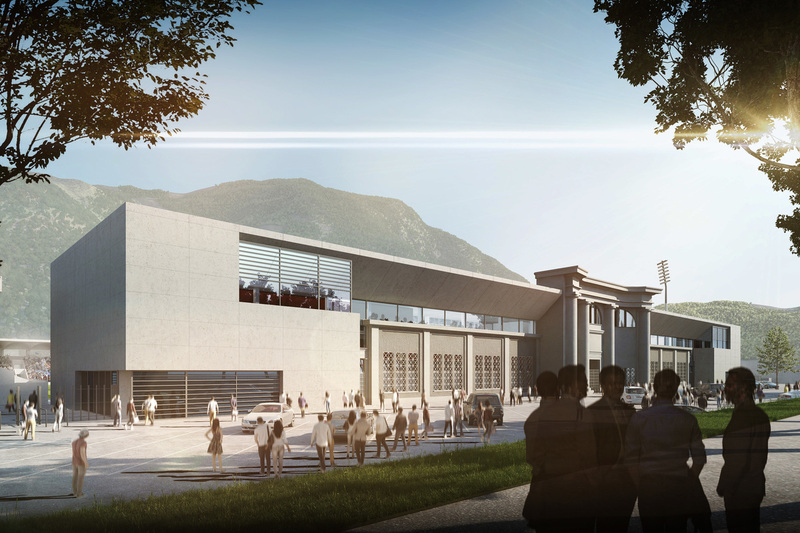 The monumental and decorative structure will be extended by minimalist sections on both sides and within the new roof frame, balancing the entirety and locking the old part within a fresh, respectful frame. 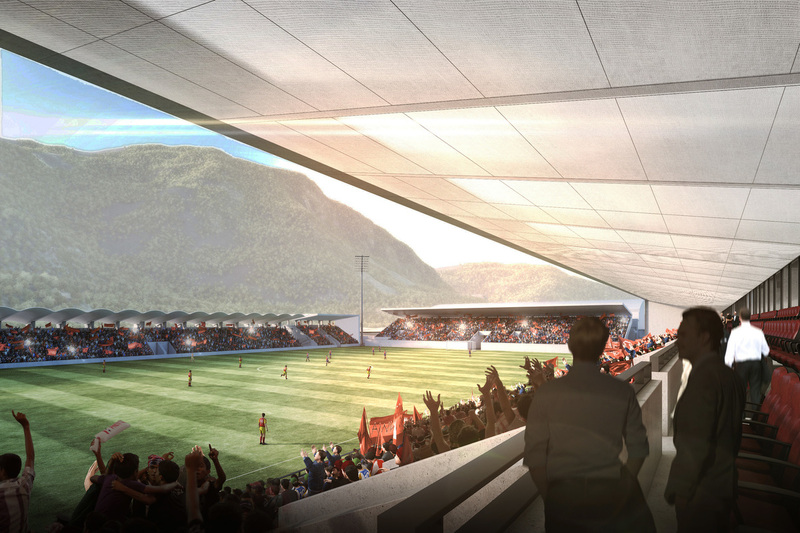 The west stand itself will be demolished and rebuilt from scratch, moving it much closer to the field in order to make use of space left after the running track. 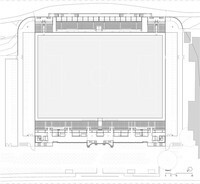 The east stand will remain as it has been for years, including its concrete roof. However, two cubic expansion blocks will be added on both sides in order to match the field's length. 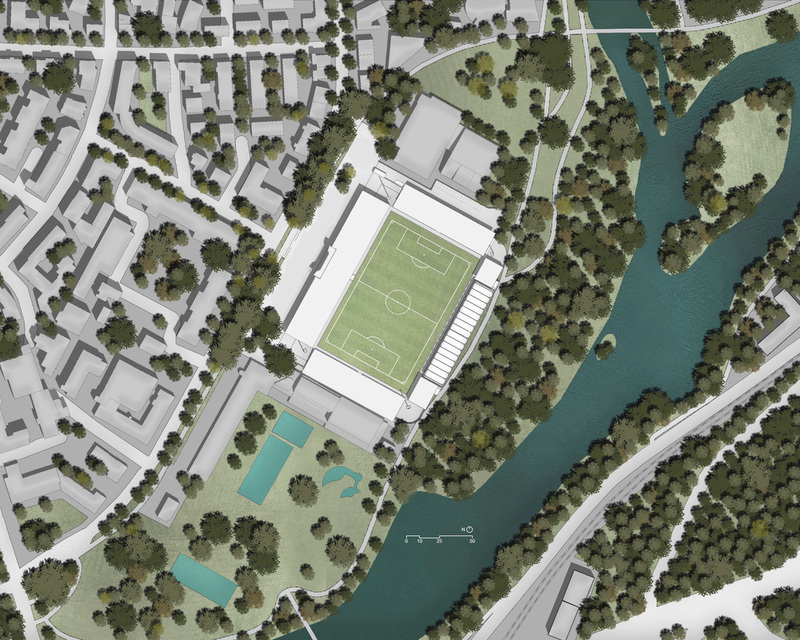 While we don't have the existing stadium covered on StadiumDB, we couldn't have missed the redevelopment scheme, which will redefine its historic, monumental facade of 1930.